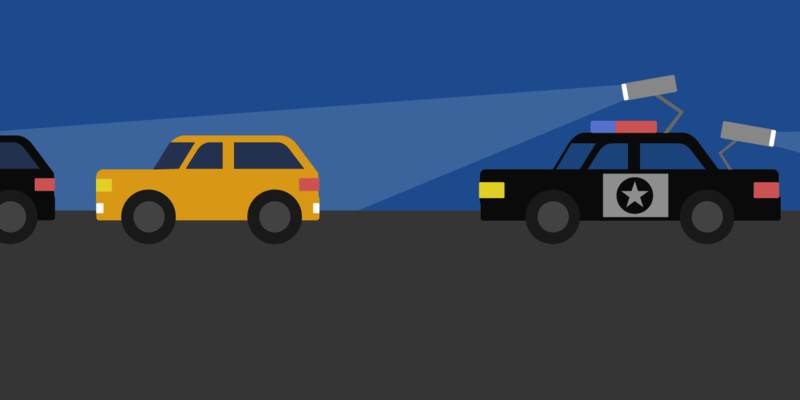 Earlier this week, EFF filed a brief in one of the first cases to consider whether the use of automated license plate reader (ALPR) technology implicates the Fourth Amendment. Our amicus brief, filed in the Ninth Circuit Court of Appeals in United States v. Yang, argues that when a U.S. Postal Service inspector used a commercial ALPR database to locate a suspected mail thief, it was a Fourth Amendment search that required a warrant. ALPRs are high-speed, computer-controlled camera systems. Some models can photograph up to 1,800 license plates every minute, and every week, law enforcement agencies across the country use these cameras to collect data on millions of license plates. The plate numbers, together with location, date, and time information, are uploaded to a central server, and made instantly available to other agencies. The data include photographs of the vehicle, and sometimes of its drivers and passengers. ALPRs are typically attached to vehicles, such as police cars, or can be mounted on street poles, highway overpasses, or mobile trailers. One leading commercial database operated by DRN advertises that it contains 6.5 billion plates. DRN is owned by the same company as Vigilant Solutions, and according to testimony from a Vigilant executive in the Yang case, the Vigilant LEARN database used by the Postal Service to locate the defendant includes all of DRN’s records as well as a wealth of data available only to law enforcement agencies. If police want to search through ALPR data, we believe they should get a warrant. In recent years, EFF, the ACLU, and others have called attention to ALPR’s invasive tracking capabilities and its proliferation across the country. We won a major victory when the California Supreme Court agreed with us that the public has a right to know how police use this technology. Starting with Yang, we will be arguing that government use of ALPRs is a search that implicates the Fourth Amendment, and it should require a warrant in routine investigations. ALPRs scan every car, regardless of whether the individual driver is suspected of criminal activity. Similar to cell site location information (CSLI) or GPS tracking, ALPR records can paint a picture of where a vehicle and its occupants have traveled—including sensitive and private places like our homes, doctors’ offices, and places of worship. Commercial vendors operate vast databases of ALPR records, and sell database access to not just law enforcement agencies, but private businesses like repo services and insurance companies. Government employees are frequently able to access records generated by cameras mounted on both private and law enforcement vehicles, giving them access to a vast array of location data. That’s why government use of ALPR could lead to invasive tracking, and necessitates safeguards, such as a warrant requirement. The legal arguments against warrantless ALPR searches are even stronger after a landmark ruling from the Supreme Court last June. The Court’s ruling in United States v. Carpenter involved police tracking a suspect using location data obtained from his cellular provider, but much of its reasoning applies to ALPRs as well. For example, Chief Justice Roberts wrote that because nearly everyone uses a cell phone, the government’s tracking ability “runs against everyone,” and “[o]nly the few without cell phones could escape this tireless and absolute surveillance.” ALPR data collection is similarly indiscriminate; anyone who drives on public streets is likely to be tracked and logged in a database available to police. We’ll watch to see what the Ninth Circuit does in Yang, and we’ll be making similar arguments in other ALPR cases soon.